With the passing of Philip the Guild has truly lost a good friend and a talented bellringer. In his own eyes he was just an ordinary man, but in his life’s work this proved to be very different and he involved himself in many other aspects to help others. Philip was born in Swineshead, one of three children, where he lived and worked all his life except for the two years he spent at Blandford Forum on National Service. In 1948 he learned to ring at Swineshead, where he quickly fell in love with the art of Church bell ringing. For the next 55 years, many as tower captain, he rang the bells virtually every Sunday for morning service. In addition, he was responsible for climbing the steps 3 or 4 times a week to wind the church clock, until it was electrified. In 1955 Philip rang in a record multi-method peal of Surprise Minor at Frampton where, ringing next to him, and conducting the peal, was a young Miss Rhoda Brown. After much ‘hunting and dodging’, they were married in November 1955. Philip rang in 310 peals, many of which he conducted, and with many local youngsters ringing their first peal, some of whom have become very prominent ringers countrywide. In the 1970’s he represented the Lincoln Guild on the Central Council and for services to the LDG both he and Rhoda were awarded the rare honour of Life Membership. For many years he bound the Guild’s copies of The Ringing World, he produced magnificent church notice boards, not only for Swineshead, but for other local churches, and local belfries contain numerous peal boards, all painted and written by Philip, taking many hours of his time and always at little or no charge. He also found time to make the tops of the Wardens Staff and to produce kneelers for the church, which were cross-stitched by his own hand. And somehow he found more time to play in the Swineshead Brass Band playing the cornet and tenor horn. He had been a chorister, server, cross bearer, sidesman and churchwarden, also a member of the Lincoln Diocesan Synod and Lay Chairman of the Deanery Synod. 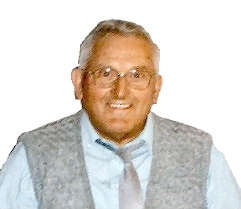 In 1998 both he and Rhoda were awarded the Borough of Boston Civic Award for outstanding contribution to the Parish of Swineshead, the Parish Church and to bell ringing – most justly deserved. For many years it was his great ambition was to re-hang Swineshead’s worn out bells and Philip and Rhoda were responsible for amassing over £10,000 for the Belfry Repair Fund. A bequest made locally at Philip’s suggestion made the project possible in 2003 and restoration took place, with much of the work being done with the help of his son David, also a ringer, giving Philip the pleasure of seeing the project through to its completion. However, his illness advanced rapidly and within a few weeks he would ring no more. Philip and Rhoda’s grandson, Michael, has started to learn the art of bell ringing, carrying on the family tradition. We all wish him well and hope that he finds as much pleasure as did his grandad. And as mentioned by Michael Belcher in his eulogy at the funeral he will in a few years time be able to say “My grandad was a bellringer, but he wasn’t an ordinary man – my grandad was an extra-ordinary man”. Philip passed away peacefully on Sunday 11th September 2005. The funeral was held at 2pm at Swineshead on 16th September 2005.